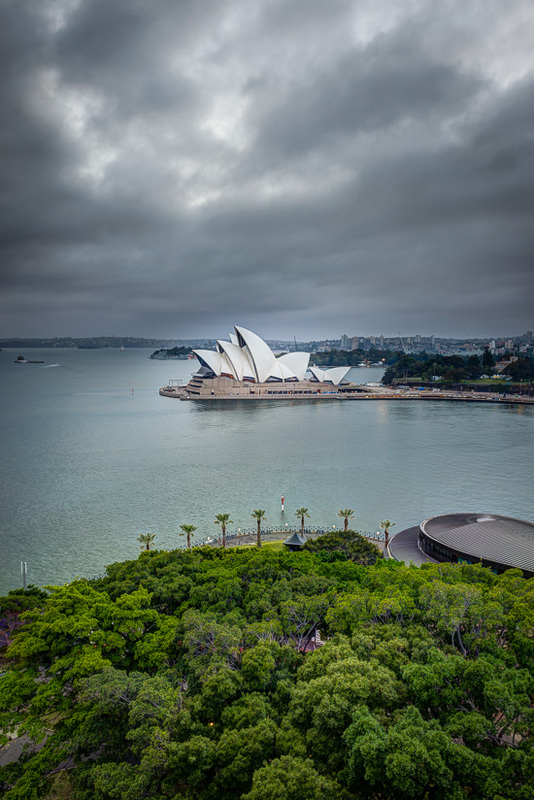 It was a grey old day in Sydney this morning. 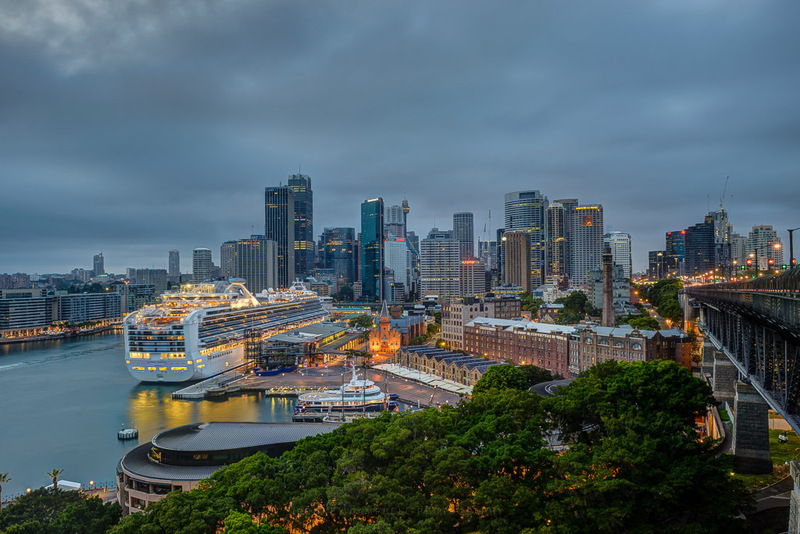 However it was before sunrise, I was in the city and I had all my gear (I know right…) so I headed to Dawes Point to see what could be made. It was bleak, with a light drizzle served up with a drab colourless twilight and the sun was nowhere to be seen even after the scheduled sunrise time. About 15 minutes before sunrise and looking back towards the city from the southern pylon when this enormous cruise liner came into the harbour and docked at the OPT in Circular Quay. After “sunrise” I moved back down the pedestrian walkway towards the city to frame up this nice pool of green over Dawes Point with the Opera House when a crack appeared in the sky briefly allowing this just a few minutes after sunrise.